3 scenes are in today’s new video – the others are from last year’s mermaid week series! 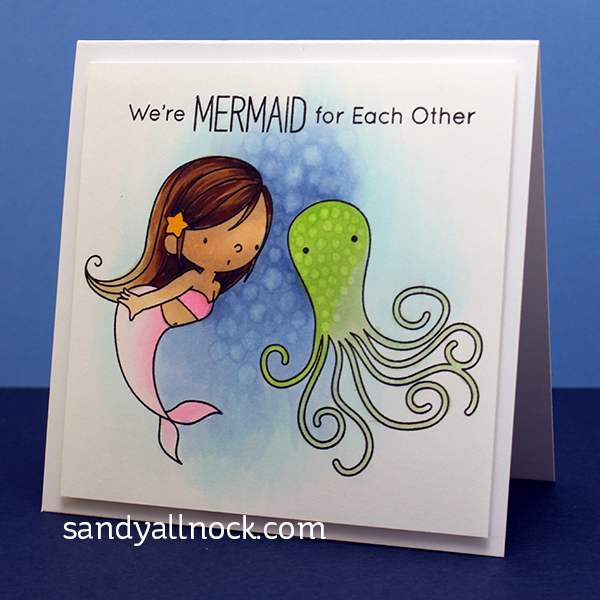 See the end of the post for links to all the mermaid stamps…lots of them would work in place of some of the ones shown in these videos! Magical Monday doesn’t happen often…but when it does, it’s time to kick back with your morning coffee and just watch! 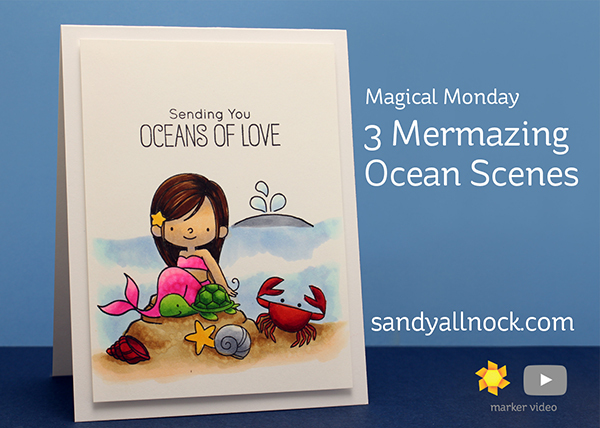 I came up with three ways to create ocean scenes using two new stamp sets from My Favorite Things….hope you like them! Watch the video below or click HERE to see it in HD on YouTube. For the supply list please scrolllllll to the end of the post – lots of mermaids in the list! LIVE WATERCOLOR: I’ll be doing Facebook Live videos each day during July! I’ll alternate between my Sandy Allnock LLC page and my Art-Classes.com page. Turn on notifications so you can join in the fun! A little mermaid told me it’s mermaid week at Ellen Hutson. So I thought I’d reup these – last year I shared a full week of mermaids! Just look at all the mermaid stamps you have to choose from now! Love all your mermaid scenes!